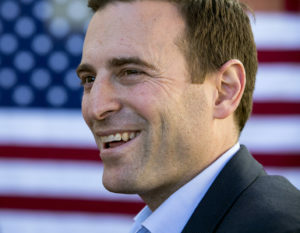 Republican Attorney General Adam Laxalt, who’s running for governor, unveiled a plan Wednesday that he says will build on Gov. Brian Sandoval’s successes helping veterans and that will make Nevada the most “veteran-empowering state” in the country. He also answered questions from a handful of reporters on topics including a proposed ballot measure banning sanctuary cities, his stance on fixing the lack of banking in the marijuana industry, the Trump administration’s opioid emergency declaration and his position on work requirements for Medicaid recipients. 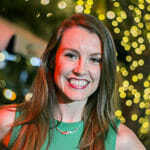 Laxalt’s plan includes setting up a single point of contact for veterans resources in the state, reestablishing the Veterans Suicide Prevention Task Force, making it a priority to hire veterans in state government and convening a regular Veterans Summit so members of the veteran-serving community can exchange ideas. Laxalt served in the Navy as a Judge Advocate General. 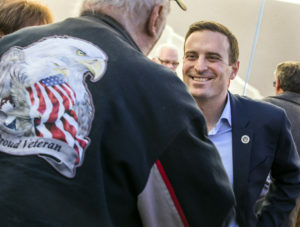 He also said he was forming Veterans for Laxalt, a coalition of campaign supporters who have served in the military. Among the members: former U.S.S. Cole Commander Kirk Lippold; Lt. General Buck Bedard, USMC; wounded Marine veteran Dylan Gray; and retired Army Colonel George Del Carlo. Supporter Mike Colian, who attended the event, said he thinks Laxalt will be an even stronger ally for veterans than Gov. Brian Sandoval, whose work has included spearheading the ongoing construction of a veterans nursing home in Northern Nevada and, along with Laxalt, approving a memorial for fallen soldiers that will be built near the capitol building in Carson City.